We are less than three months away from the opening of the Designer House on September 15. This week’s Industry Partner Spotlight focuses on three of Glavé & Holmes’ favorite fine furniture companies. Read more about each partner’s passion for their craft below. Kindel Furniture Company has been producing beautiful, 100% American-made furniture for more than a century. Founded in 1901, the company has maintained a strong reputation for craftsmanship and authenticity. The skilled team of designers, engineers and artisans create “made to order” custom furniture that allows for adaptation of dimensions, wood species and functionality of their entire product line. Kindel built their brand around time-honored techniques that reflect a passion for the finest furniture. 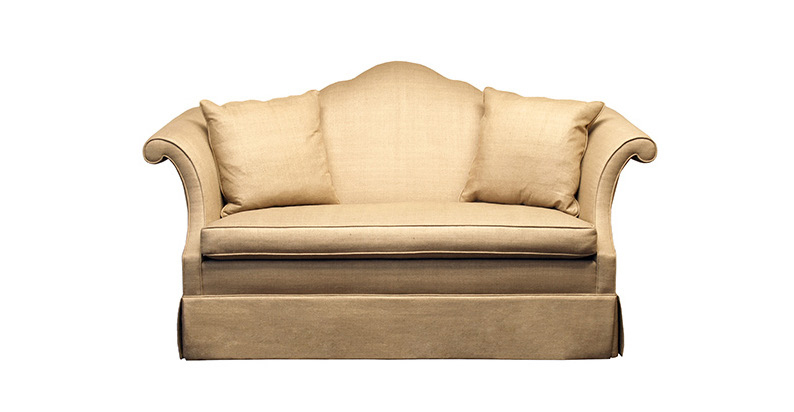 Their cozy “Chippendale Love Seat” fits seamlessly into our vision for the master bedroom. Moore Councill is a trusted and long-term partner in the home fashions industry. 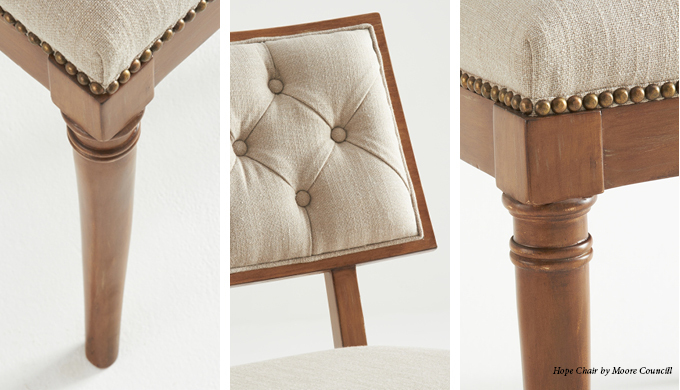 The Councill family is one of the most respected North Carolina furniture families, with a legacy of fine craftsmanship and impeccable service that spans a half-century. The Moore Councill line is fresh and innovative with exceptional attention to detail and a unique palette of materials including rosewood, ebony, mahogany, fine lacquer work, mother-of-pearl, caviar leather, verre églomisé, and metal leafing. 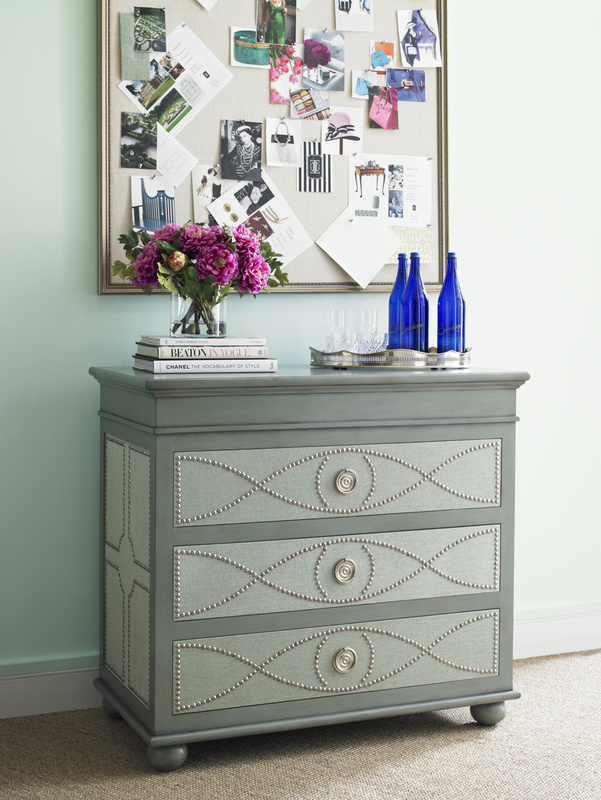 The “Grantham Chest” designed by Gary Inman was inspired by the geometry of English gardens. 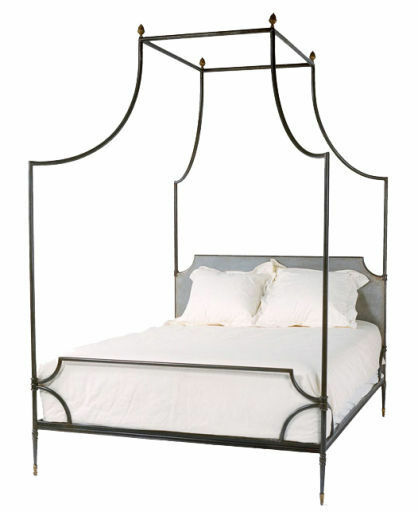 With almost half of their business being custom-designed to meet the special needs of professional architect and designer clients, we knew we could trust Neirmann Weeks to provide beautifully crafted products for the room, such as their “Loire Canopy Bed.” The family owned business has been creating hand-made and finished products since 1978. Joe Niermann’s past experience with restoring antiques aided in the development of his own collection of antique-inspired furniture and lighting designs. Niermann Week’s unique designs take concepts from the past and adapt them for current lifestyles, aesthetically relating to both traditional and contemporary interiors and lifestyles.